Matthew Cahill is a simple man leading a quiet life... until he is tragically killed in an avalanche at a ski resort. Three months later his corpse is found and sent to the morgue - but then something inexplicable happens. He wakes up. Now he can see evil... as a festering rot that eats people alive from the inside out. And he can see Mr. Dark, the horrific figure who gleefully spreads it like a plague... and whois the only one who can tell Matt whether he is still a man... or the walking dead.For Matt, each day is a journey into a supernatural world he knows nothing about... a quest for the answers to who he is and what he has become... and a bloody fight to save us, and his soul, from the clutches of pure evil. 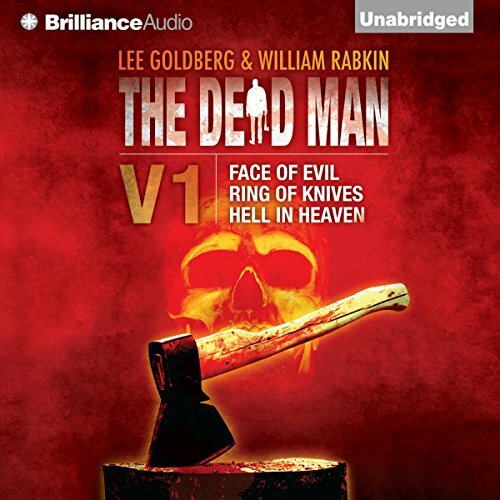 ©2011 Adventures in Television, Inc (P)2012 Brilliance Audio, Inc.
What did you love best about The Dead Man Vol 1? I liked that the character built up over time. This is really more like three 'adventures' for the hero of the book, from the time he first gets his supernatural 'powers' to his knowing more about them and helping others. What other book might you compare The Dead Man Vol 1 to and why? What does James Daniels and Luke Daniels bring to the story that you wouldn’t experience if you just read the book? The readers were pretty good at changing their voices to match the characters, but I couldn't help thinking that one of the 'evil nurses' was a giant frog! I could enjoy it in one sitting. Hope the series keeps going. I bought Volume 2 to listen to next. I am not sure why this is buried so far in the back of the horror section? It is actually very well written, exciting and kind of Twilight Zone like. Our main character dies, but comes back to life. He sees evil in the faces of others. The evil faces appear to him to be rotting and festering with maggots. There are three stories all staring the same character. He is in a different location for each. In one he is in a mental hospital and in another he is in an isolated town with lots paranormal things happening. If your a paranormal fan, you want to give this a shot. I loved the first story, the second story was only above average and I really liked the last story. I wasn't quite sure if I would enjoy a book with different authors who continue with the story. I'm glad I decided to give it a try. Each author does very well with their chapters, the main character and story stays true throughout. Horror, supernatural thrills and great story kept me up late into the night listening. I've already purchased Volumes 2, 3 & 4 and turned off my alarm clock. A Good Strong Start to a great series! 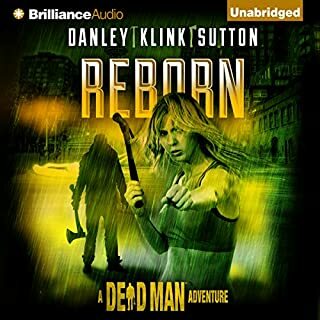 Would you consider the audio edition of The Dead Man Vol 1 to be better than the print version? I'd say the audio version is just as good as the written version. Matt Cahill! He's just a guy that is trying to get by with these special "gifts" he's received since he "woke up". A guy trying to find answers to the evil and the "why me" questions coursing through him. An excellent character and a great start to the series. Story #1 in the book was the best. The first story introduces you to Matt Cahill and his special gift in an extreme way. I like the fact that different authors are writing the stories through out this series. 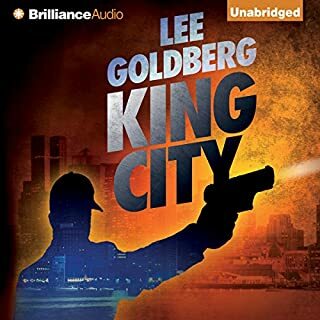 Each story is short enough to listen to in a few hours, yet they are thorough enough that you really enjoy each story and the advancements in Matt's search for answers. The stories don't have a ton of gore or monsters, but a supernatural foundation, and instead rely upon a mix of suspense and realistic fears / scary situations to create tension and "horror". Imagine seeing psychosis and evil represented as rot and decay in the people around you! Imagine a mental hospital where psychos and predator employees run the show - scary stuff. The third story was not as good as the first two, but I will still purchase volume 2. 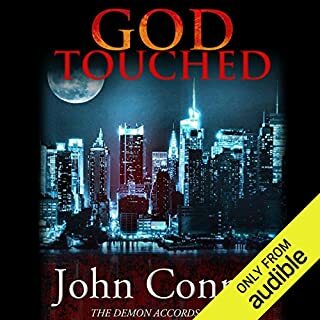 Narration is very good, especially Luke Daniels who also does the Iron Druid Chronicles. I don’t like writing reviews because everyone has likes and dislikes. That being said, I feel an obligation to let everyone know how bad this book was. I have never not finished a book but this one pushed me to my limits to get through. Wasted time,money, and a little bit of my life on this one. 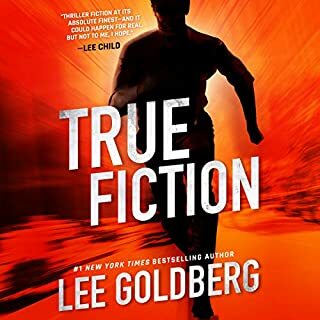 Everything was bad story, the readers, (I think they even changed readers in the middle because the main character didn’t sound the same as in the beginning) and the many different plots throughout. One last thing and I’ll stop. The book doesn’t end. It stops but doesn’t end. It’s like a horror soap opera on tv. It will never have an ending. The narration is well-done, and each episode written competently enough. This series might be a good choice for anyone looking for something fast-paced and brainlessly entertaining in the horror genre. 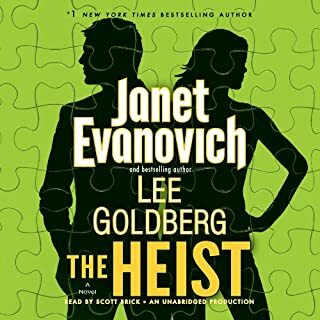 I'm returning this book, plus the other three books in the series that I bought because, well, they were on sale ($1.99 for the book plus another $1.99 for the audiobook), had good reviews, and the premise seemed interesting enough. The problem, I think, is that these stories are fundamentally television--quick, unchallenging, predictable, with flat characters acting in illogical ways to further a formulaic plot. 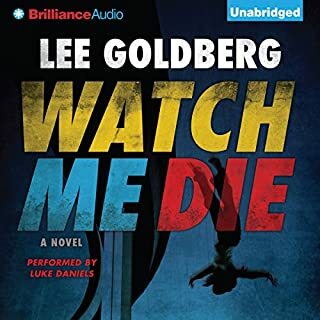 There's no sense of the authors trying to transcend the genre or even have fun with their work; they have a job to do (write a story that appeals to the lowest common denominator in the assigned genre), and they do it.